As algorithms become more and more complex, the implementations become more and more difficult. Without firsthand knowledge on the algorithm, it is extremely difficult and time consuming to build programs with respect to the publications. Many researchers are actively releasing their source code to the computer vision community these days. Their kindness gives great momentum to the development of better algorithms and the analysis on the existing approaches. MCL wants to be a part of the selfless community by releasing all our research programs to the public. We are initiating the MCL Codebase Project, which aims at sharing our group member’s first hand implementations to the world. Since we are currently working on various researches, we will index them into five categories, including image/video quality assessment, face detection and recognition, scene recognition, object detection, image retrieval. We will be offering projects through Github, so source codes are constantly updated and maintained. Anyone can easily branch either a stable version or a cutting edge development. The source code will be released under GNU General Public License, so researchers can use them freely. Researchers are welcome to contribute to our codebase. Send us a pull request and help us build a more powerful code base. 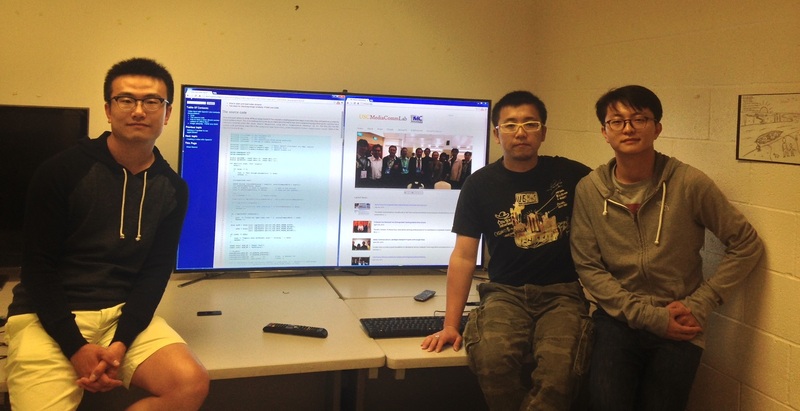 Our group member Hao Xu, Xiaqing Pan, and Chen Chen will serve as the MCL Codebase Project committee. Our senior group member Joe Lin, Sudeng Hu, and our group alumni Jiangyang Zhang will join the board of advisory. Professor Kuo will closely monitor the progress of this project.